Avon is a British based tyre manufacture who has a history of producing some of the highest-quality tyres in the market. There tyres are renowned across the world of motorsport as they have supplied tyres for both the Formula 3000 and Formula Ford Championship, helping to win hundreds of titles and races in the process. Although it is a well-known brand with a track-record of producing some of the best tyres around, they are notoriously difficult to get hold of and are only supplied at a select number of garages in the UK – making them a unique and cult brand. Established in 1885, Avon is one of the oldest tyre companies in the world today and they have supplied tyres for some famous British car manufacturers, including Aston Martin, Bentley, Land Rover and Rolls Royce. These luxury vehicles are testament to the quality of tyre that Avon produces and the craftsmanship put into the design as they provide you have a safe and smooth drive, while making your vehicle more economic at the same time. What features are associated with Avon tyres? Where can I get an affordable set of Avon tyres? If you are looking for a quality set of Avon tyres then the team at Easywheels are here to help you out, and we can provide you with a great range of high quality tyres at a great price. So if you are looking for a really great price on tyres and you still want the same high quality and reliability that you have come to expect from traditional tyre manufacturers, you can’t go past what the team at Easywheels can offer you. The Avon Avanza AV11 is part of the van range from Avon and has been spefically designed for high speed vans. The tyre comes with all the attributes that you would expect from the a leading van tyre. Great stability and support form the strentghened (reinforced) sidewall and excellent handling in dry and wet conditions. This is a great tyre that has increased value for money. The Avon Avanza AV4 is part of the van range from Avon and has been spefically designed for high speed vans. 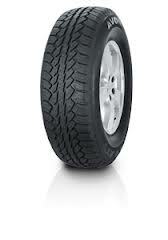 The tyre comes with all the attributes that you would expect from the a leading van tyre. Great stability and support form the strentghened (reinforced) sidewall and excellent handling in dry and wet conditions. This is a great tyre that has increased value for money. 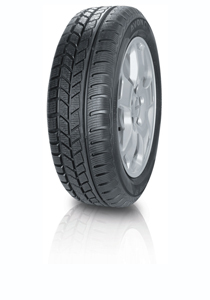 The Avon Avanza AV10 has been developed for the Van range of tyres from Avon. The Avanza AV10 has specifically been designed for the car-derived van. Not only will you get an extra long life from this tyre you will also get great handling and low levels of noise. So if you want a nice quiet drive when out on the road this tyre could be the one for you. The sidewalls of the tyre have been developed to feature reinforced elements capacble of taking on extra weight from heavy loads. The Avon Avanza AV9 is part of the van range from Avon and has been spefically designed for high speed vans. 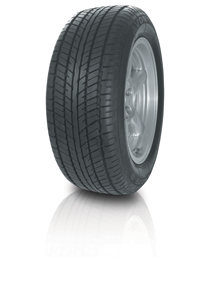 The tyre comes with all the attributes that you would expect from the a leading van tyre. Great stability and support form the strentghened (reinforced) sidewall and excellent handling in dry and wet conditions. 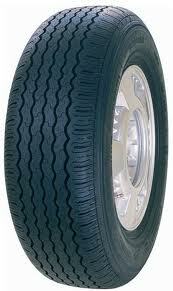 This is a great tyre that has increased value for money. The Avon CR11B tyre has come to the market as a Luxury high performance tyre. You will find the CR11B on vehicles like Rolls Royce, Bentleys and Aston Martins. 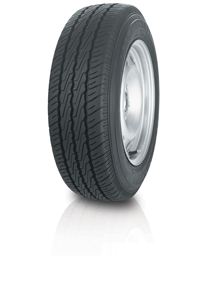 As you would expect this tyre has been developed to give the driver unbeatable comfort with a quiet ride. The tyre has been reinforced to be able to withstand high pressures from larger vehicles. The CR11B also has excellent handling and steering control on the road. The CR11B is an ultimate in performance and luxury. The Avon CR11B WW tyre has come to the market as a Luxury high performance tyre. You will find the CR11B WW on vehicles like Rolls Royce, Bentleys and Aston Martins. 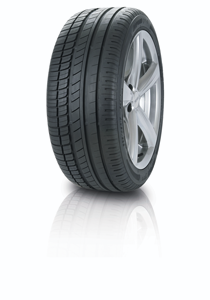 As you would expect this tyre has been developed to give the driver unbeatable comfort with a quiet ride. The tyre has been reinforced to be able to withstand high pressures from larger vehicles. The CR11B WW also has excellent handling and steering control on the road. The CR11B WW is an ultimate in performance and luxury. The Avon CR11B WW tyre comes with white side walls. The Turbospeed CR227 again is a very similar to the Turbosteel 70. It has been specifically designed with top end luxury cars in mind. The side walls like the Turbosteel 70 have been given extra flex to give a smooth and comfortable drive. The Turbospeed CR227 aslo come with white sidewalls as an option. The Turbospeed CR227 WW again is a very similar to the Turbosteel 70. It has been specifically designed with top end luxury cars in mind. The side walls like the Turbosteel 70 have been given extra flex to give a smooth and comfortable drive. The Turbospeed CR227 WW aslo come with white sidewalls as an option. The Turbospeed CR227 WW have fully white sidewalls. The Avon CR228-D tyre has come to the market specifically targeting the coupe and saloon cars. The CR228-D is similar to the Turbo rnage as in its perfect for high end luxury cars with the added sidewall flex to provide extra comfort when driving. This added with the reduced noise emmisssions and the dispersing water tread pattern, you will be happy to be driving on such an effiecient tyre. The Avon Turbospeed CR27 is the real deal for luxury cars. This tyre has been designed for Rolls Royce and Bentley so you will get the highest standards in regards to performance and comfort. The Avon Turbospeed CR27 again has all the attributes of the other tyres in the Turbo series with the extra flex in the sidewall providing added comfort to the tyre at all times. The Avon CR85 is a high performance winter tyre. Renowned for handling well in wet, snowy, icy and muddy conditions. 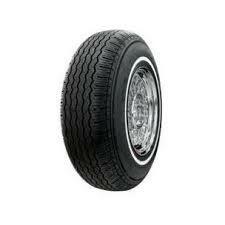 The design of the tyre attributes to the sporty performance of the tyre. The CR85 will not only performs well in the winter conditions it has brilliant levels of performance in dry conditions. The Avon Ice Touring tyre came to the market as an excellent performer in the harshest conditions. Excelling in the now, ice, wet and muddy elements this tyre will work together all winter. The Ice touring is classed as premium winter tyre that will never let you down. The sidewalls of the tyre have been reinforced to ensure the tyre provides extra stability, this paired with the Avon patented "Snow Groove" tyre tread you will find that this tyre gets you out of most situations. If you want a reliable tyre the Avon Ice Touring ticks all the boxes. 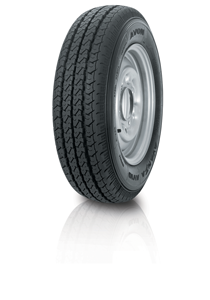 The Avon Ice Touring ST is part of the Winter tyre series form Avon. This tyre had been developed for high performance vehicles in mind, coming in wide sizes with low profiles giving the sporty look that is very popular. As it?s a winter tyre it has been specifically crafted to work well in wet, snow and ice conditions. 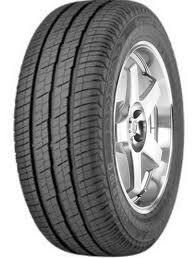 The life span of the tyre is very good giving the customer good value for money. This tyre is available as a run flat. The Avon Rangemaster comes as the recommended tyre for Land Rover, With its solid stucure and great build the tyre will perform exceedingly well in the all conditions. If you want a tyre that can take on all weather and terrain elements this tyre will take on everything in its stride. This tyre isn't just for Land Rover, it can be fitted to other vehicles. The Avon Ranger 55 is part of the 4x4 range from Avon and again this tyre really knows how to perform. The tyre will retain grip at high speeds and also give an excellent and comfortable ride on the road. This tyre will perform as well on the wet road as it will on a dry road. The Avon Ranger 60 really does perform to a high standard. Seen as it?s a 4x4 tyre it behaves more like a high performance car tyre than a 4x4 tyre. Expect great handling and grip from the Ranger 60 as well as a tyre that can handle high speeds on the road. The Avon Ranger 65 is a 4x4 tyre with a difference. Renowned for its high performance on high powered 4x4's. The Avon Ranger 65 has excellent handling nd control at high speeds. More at home on the road than off road the Avon Ranger 65 fills the driver with confidence in all weather conditions. Be it wet or dry the tyre grips the road and wont loose grip. An brilliant tyre by all accounts. The Avon Ranger 70 is a 4x4 tyre with a difference. Renowned for its high performance on high powered 4x4's. The Avon Ranger 70 has excellent handling nd control at high speeds. More at home on the road than off road the Avon Ranger 70 fills the driver with confidence in all weather conditions. Be it wet or dry the tyre grips the road and wont loose grip. An brilliant tyre by all accounts. The Avon Ranger A-T is part of the Avon 4x4 tyre range and with great levels of performance on and off the road the Ranger A-T really is a great tyre. With a Bold tread pattern the tyre is capable of overcoming pretty much all terrains in all conditions. The Ranger A-T aslo has great levels of handling and will be at ease as much on the road as off. This tyre has reinforced sidewalls as the option of white lettering on the side wall if your after the "All American" look. The Avon Ranger A-T BSW is part of the Avon 4x4 tyre range and with great levels of performance on and off the road the Ranger A-T really is a great tyre. With a Bold tread pattern the tyre is capable of overcoming pretty much all terrains in all conditions. The Ranger A-T aslo has great levels of handling and will be at ease as much on the road as off. This tyre has reinforced sidewalls as the option of white lettering on the side wall if your after the "All American" look. The Avon Ranger A-T BSW has a Black side wall to the tyre. The Avon Ranger ATT is an all terrain 4x4 tyre that does escatly what it says it does. It performs to a great standard on all terrains, taking on the on road and off road conditions a driver may put it through. 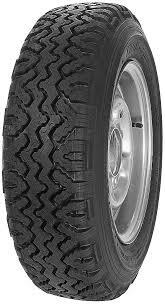 The added wet weather handling all contribute to the tyre being a great all round tyre for your 4x4. The Avon Ranger HTT tyre is an premium performance 4x4 tyre that will make the most out of wet, rough terrain. With ecellent grip and added stability the tyre will take you from A to B via C with no problems what so ever. The Avon Ranger Ice has been specificlaly developed to make little work of the winter conditions. The tyre will take on snow, ice and mud without loosing any grip. It also works really well in wet condtions on and off the road. 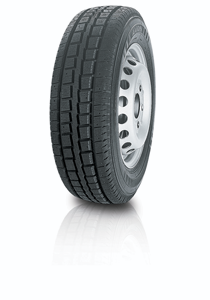 The sidewalls of the tyre have been reinforced to provide extra stability at all speeds. The Avon Ranger TSE is known as the great all round 4x4 tyre. 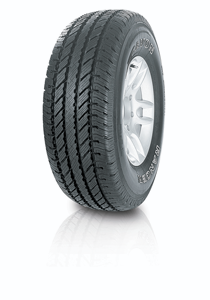 With excellent ride quality and brilliant handling on and off the road this tyre really is an asset the Avon 4x4 range. 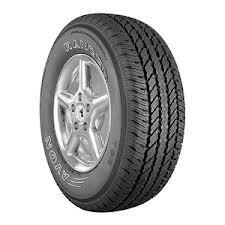 The tyre will also perform very well in wet and dry conditions. The Avon Ranger TSE OWL is known as the great all round 4x4 tyre. With excellent ride quality and brilliant handling on and off the road this tyre really is an asset the Avon 4x4 range. 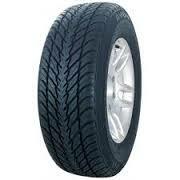 The tyre will also perform very well in wet and dry conditions. The Avon Ranger TSE OWL has white letter on the sidewall of the tyre. The Avon Trailer 13-50 has been specially designed for trailer action. 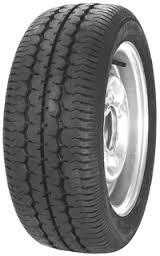 The tyre is very popular with delivery trailers and livestock trailers. The Avon Trailer 950 is a solid 4x4 tyre that performs brilliantly on and off road. 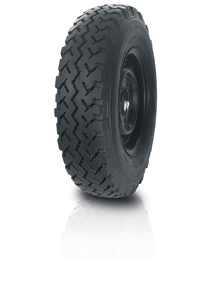 With epic grip and control on all terrains in all conditions the Trailer 950 really is a tyre that you can rely upon. The construction of the tyre enables it to work well under heavy loads. The Vanmaster M+S has been brought to the market specifically for the medium sized van. 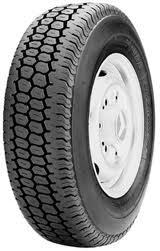 It?s the winter van tyre that will handle well in all conditions dry, wet, snow or ice this tyre can even make light work of muddy conditions. If needed the tyre has been designed to accept ice studs when the weather is so bad you need that little extra grip to get you on your way. A true trooper of a tyre and one not to be taken lightly! The Avon ZT5 has been designed with the everyday user in mind. The tread design of the tyre gives extra control during aquaplaning and adds to the already good levels of handling and precise steering. The tyre is very popular for all family cars for a reason, its a great all round performer that will have you driving with confidence in wet and dry conditions. The ZT5 has reinforced sidewall meaning it can take extra pressure and prodive more stability to the drive and performance. The Avon ZV3 has been specifically deisgned for saloon cars. The tyre comes with a unique "tri-sector" pattern which makes the tyre very quiet when moving. Known to have stong hold on the road and a very good level of handling and responsiveness you will feel assured that this tyre does everything you want it to do. Avon tyres have a great reputation and the ZV3 does let it down. The Avon ZV5 is an excellent tyre that is credited with brilliant all round performance. The ZV5 will give the driver excellent grip in the wet and dry as well as a good feeling of control and handling on the road. The Avon ZV5 also has a great breaking distance on both wet and dry roads. The ZV5 is an epic tyre that will give the driver confidence on the road. The Avon ZZ3 is similar to the ZZ5, it's an ultra high performance tyre that has been specifically designed for top level sports cars. With added technology to make the tyre perform excellently in wet and dry conditions and the responsive handling features of the tyre gives for a a very confident drive. The tyre comes in many sizes and has been designed with a rim protector which will limit the damage to your alloys when parkeing etc. 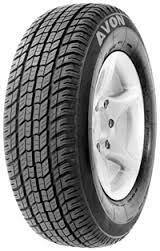 This is a great tyre if you want maximum control of your car at all times. The Avon ZZ5 is for the driving enthusiast. Providing high end performance for the the high end cars. The ZZ5 is very popular with many a driver and the resons for this come down to the fact that the tyres perform! 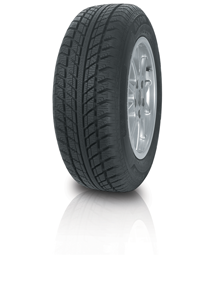 With advanced technology this tyre can perform to high standard in both wet and dry conditions. This combined with excellent handling attributes gives the driven untold confidence when commiting to the cornering at high speeds. 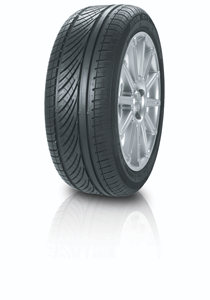 If you need a tyre that can perform as well as your car can then the Avon ZZ5 is a very good option.